Our private lake complex for pleasure fishing is located approximately 100 metres from the cottages and offers a superb extra to your holiday in Cornwall. 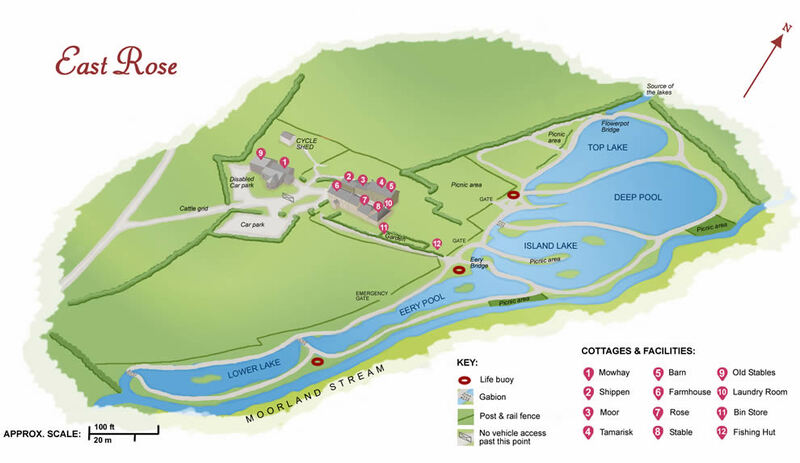 Originally an area of wetland, the site was transformed in the 1980’s and now includes five lakes, half a mile of landscaped paths and picnic benches and supports a variety of habitats including birds, foxes, badgers and canada geese. The lakes are best suited to beginners, children and the relaxed pleasure fisherman wanting peace and quiet away from the crowds surrounded by stunning Cornish countryside in a tranquill setting. Our lakes contain Tench, Bream, Crucian Carp, Roach, Rudd and Carp ranging in size up to 3lb.